Zucchini and Mortadella Polpette Italian Meat Croquettes are meat and cheese potato balls rolled in breadcrumbs and fried until golden brown. They are a perfect entertaining dish and delicious dipped in marinara sauce. Make sure you make a lot because they do go quickly. Polpettine (plural) are a popular summer dish in Italy. These fried meatballs are similar to what I had in a restaurant in Bologna Italy, which is where mortadella originates. The ones I had did not have zucchini, but I added it to these since they are in season and I love the green flecks you can see in the polpette. Polpette literally translates to meatball, but they’re are not the Italian meatballs that we’re all used to seeing. These are a type of meatball that is made with mashed potato, cheese with added meat that can be Italian deli meat, beef or pork. They are breaded and fried. It’s the Italian version of croquette. Can they be made without meat? When you want a quick and easy appetizer for entertaining or parties, this is always a favorite in my house, from the grownups to the kids. 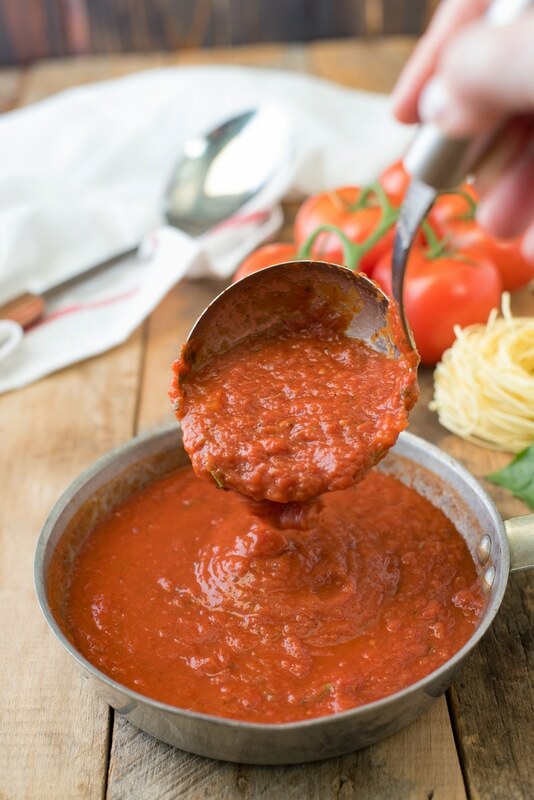 Perfect for dipping in marinara sauce. You can find this recipe at the bottom of this post. 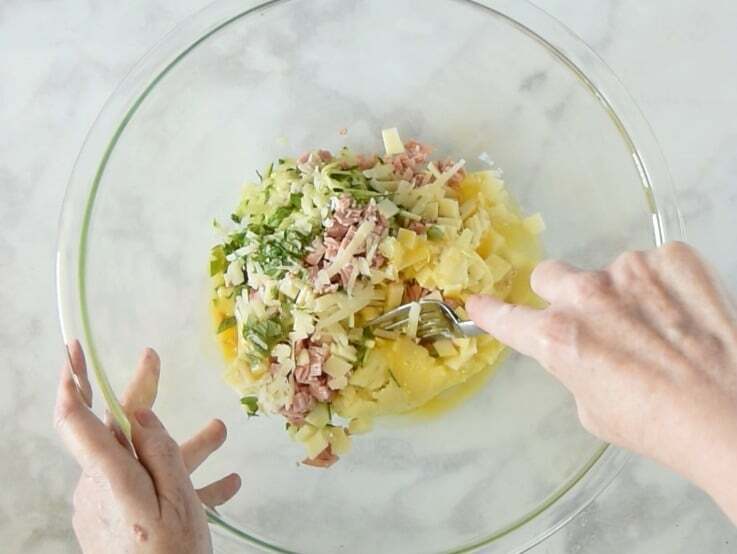 Add mashed potato, grated zucchini, diced mortadella, provolone and Parmesan cheese, fresh basil and an egg to a bowl and mix well. Using a 2 tablespoon measuring spoon, scoop some of the mix and roll into a ball. Roll the balls in breadcrumbs. 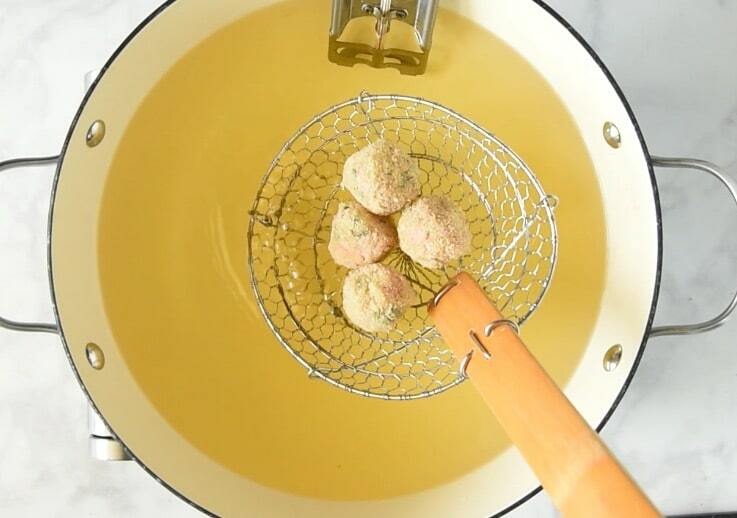 Shallow fry the balls in small batches until golden brown. 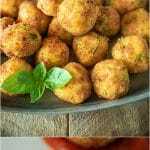 If you’ve tried these Zucchini and Mortadella Polpette Italian Meat Croquettes or any other recipe on the blog then don’t forget to rate the recipe and let me know how you got on in the comments below. I love to hear from my readers! You can also FOLLOW ME on FACEBOOK, TWITTER, INSTAGRAM and PINTEREST to see daily recipe updates. Zucchini and Mortadella Polpette Italian Meat Croquettes are meat and cheese potato balls rolled in breadcrumbs and fried until golden brown. Poke holes in the skin of the potato with a fork and microwave for 3 minutes. Turn and cook another 3 minutes. They are done when you insert a knife and they feel soft. Allow to cool for 10 minutes. 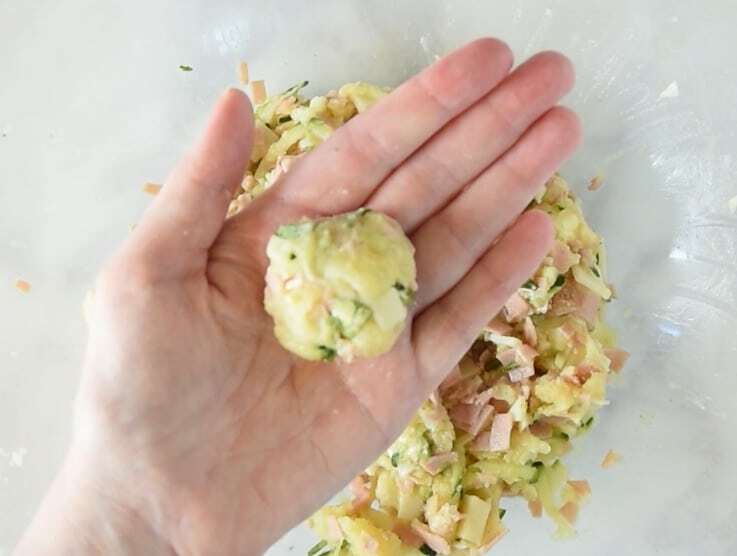 Peel the potato and mash well or pass through a potato ricer. Add the zucchini to a towel squeeze out as much liquid as possible. 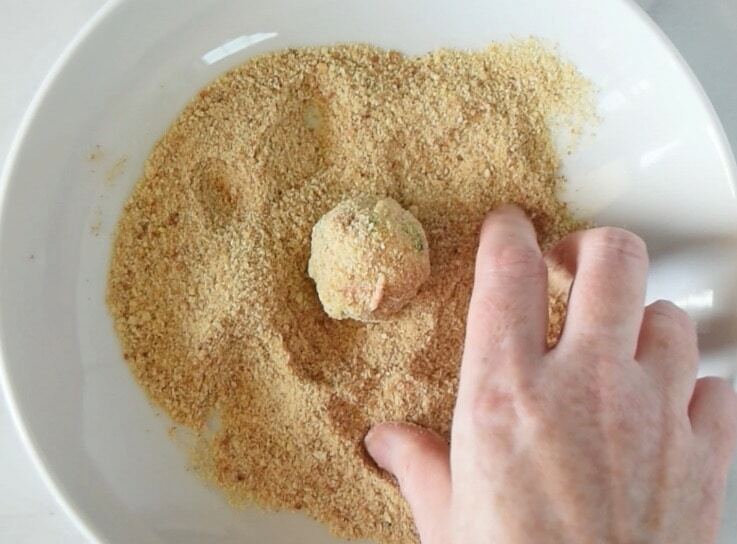 Use a 1 tablespoon measuring spoon, scoop out the mix and form into balls. They will be sticky and may not form properly, this is ok.
Refrigerate the balls for 30 minutes to help them set. Roll them again to shape. Roll the balls in breadcrumbs to evenly coat. Add oil to a high sided pan, fill halfway and heat until it reaches 320°F on a candy thermometer. Fry the balls in batches depending on the size of your pan, so they are not crowded for 1-2 minutes until golden brown. Drain onto a paper towel. Serve with marinara dipping sauce. I was wondering if you could freeze these? I have lots of zucchini now and would love to have this as a meal for busy days later. Yes, they freeze very well. Just make them up to cooking, then freeze. You can cook right from frozen, just cook them a little longer to make sure they’re heated all the way through. I hope you enjoy them. I’ve never heard of these but now I want to try them. They looks so good. Perfect appetizer. These are perfect for using up all my zucchini! 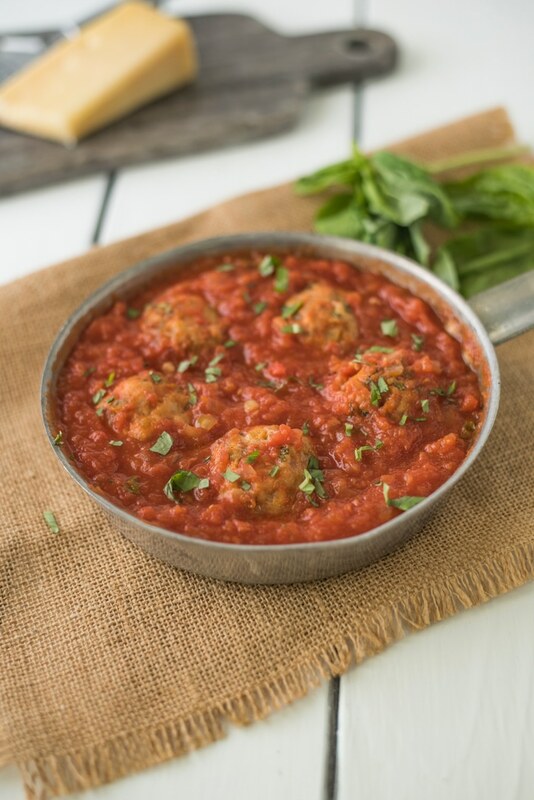 I love that I can customize these meatballs to the foods we love. It makes it a great way to get more veggies in. I think my daughter will love these and it will be a great way to use up some of those summer zucchinis.